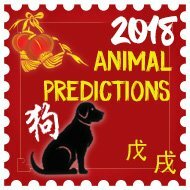 From 7th December 2017 to 4th January 2018 is the eleventh month Ren Zi (Yang Water Rat) of the Ding You year (Yin Fire Rooster year) with the ruling energy of #7 in the central grid. You must be aware of possible theft, arguments, disputes, hot tempers, loss of wealth and legal problems especially if you have a main door or important room in the north this month. If your bedroom, office, lounge, main door or other important room is located in north in December and you are unable to move out please read carefully. The good news is you now know this is an inauspicious star and you can do much to dissipate its negative influences for the month, so do not panic at all. To remedy its effects, use red decorative objects, candles, lamps and lights. A nice simple cure is a red, pink, purple, burgundy (fire colour) floor mat or a table lamp with a red shade. As we have the visiting metal star here for 2017, this can aggravate the #3 star which makes fire coloured cures a safe bet for the north this month. 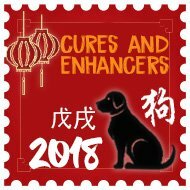 If working with traditional cures and enhancers, you would place a Long Zhui Zhenzhu Coiled Dragon or Pai nan Jie Fen Talisman Red Tassel in the north this month. – Place a light in this area if you have a choice, a lamp with a wooden stand and a peach/red shade is better. – Take extra security measures for the whole home or business during this month and check smoke alarms. – Check through everything before signing documents if you have a main door here. – Beware of backstabbing, as sometimes it is unseen and behind your back and also from someone you thought you knew quite well. Remember this is only a passing influence for the month and if you follow all this advice here your month will be just fine. Kan 1 White Kan (Tang Lang) is a water element and a yang Trigram. It also affects wealth career and luck and because it is timely in period 8 (2004 – 2024) it is considered an auspicious flying star. In December 2017, it has flown in to the northeast which is good as we have the visiting water enhance the annual wood. This area can also be very good for relationships this month and to enhance you should introduce some metal elements that are round in shape, a traditional enhancer and cure is a brass wu lou or any object that is round in shape and made from a good quality metal like brass copper, steel. If this area is a bedroom, office, study lounge or other important room you should place a wu lou or other round metal objects which is auspicious. Blues, black, grey or charcoal would be a good colour scheme for this room. You can introduce these colours in beddings, throws, lampshades, pillow covers etc. If you have a bed located in this area, remember to place a brass wu-lou beside the bed. Avoid fire colours like red, pink, purple, orange, lilac etc in this area and also avoid candles at all costs although you can place Christmas decorations here. – Avoid candles or fire colours like red, pink, purple, orange or burgundy in this area although you can place Christmas decorations here. – Place creative enhancements like displaying an abacus, calligraphy set, artist tools like canvas, brushes etc this month. The 5 Yellow (Lian Zhen) star of tragedy is located in the east this month and combined with Sui Po and the Three Killings, this is a very important area to get right in December. It affects the overall luck, virtually all types of illness including many mind related problems with regards to thought process, lack of energy and procrastination. It will not affect anyone in particular in the home as the #5 star does not have a trigram and no yin or yang energy so to speak and this is why the negative aspects of this star are so strong. The 5 Yellow also called ‘Wu Huang or Lian Zhen’ in Chinese, is one of the bad monthly afflictions. It is an extremely unstable star. It has no gender and no trigram and is highly treacherous when disturbed. When disturbed, its malicious influence brings tragedy, sickness, lawsuits and major loss of wealth. Do be careful with it. Stillness together with metal cures can keep its negative influences at bay and you must avoid using fire energy like reds and candles in this area this month. You MUST NEVER disturb this area inside or out with lots of drilling or knocking activities. – Most of all, avoid disturbing this area at all costs. Any form of renovations that needs to be done, plan it for another month. It is worth keeping this in mind. – Replace or at the very least cleanse your Ba Gua mirror in this area especially if you have a door here. – If you have a main door in this area make sure you oil the hinges and try not to let it bang shut and oil squeaky hinges. – If you use a fan or other machines that create noise or vibration try and avoid placing it in this part of a room this month. The Ch’ien metal 6 is a conditional star and is auspicious in Period 8 (2004 – 2024). It governs wealth, leadership, success and ambition and is very good for politicians, leaders and anyone involved in the jewellery business. – Avoid colours red and candles in this area this month unless you are placing Christmas decorations. Kun 2 Black (Ju Men) is an earth star and a yin Trigram and has flown in to the south for December 2017. Overall, this is very inauspicious and needs either cures or avoidance this month in this area otherwise it can cause many problems, especially when paired with the Annual #5 yellow. 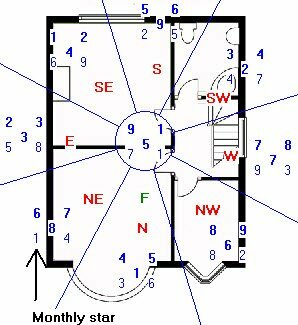 If your bedroom, office, lounge, main door or other important room is located in this area this month and you are unable to move out please read this section carefully. The good news is you now know this is an inauspicious star and you can do much to dissipate its negative influences for the month, so do not panic at all. This star affects the health of those under its influence bringing with it wealth problems, sickness, disease, bad luck, stress, stomach and digestive problems, bloated feeling, gossip, back stabbing, family harmony and distress. Avoid triangular or sharp shapes in this area. Ladies expecting should try and avoid using a bedroom if it is located in this area. If there is no choice implement the necessary cures. You should also sleep with the crown of your head in your personal Tien Yi direction. Males who spend a lot of time in this area should be careful of what they eat this month and a good time to think about a lifestyle change. Do not undertake any form of noisy renovations or re-decorative work in this part of your house or office. Nor should you disturb the ground by digging, building foundations or conduct any maintenance work with any noisy equipment in this area inside or outside your property or garden this month. If you already have your annual cures and enhancers in place, this is very good. – Place a gold coloured three legged Toad with an i-ching coin underneath. – A metal singing bowl is very good as is a stainless steel Dog bowl. – Avoid using red colour in this room and refrain from displaying triangle shape or fiery pictures. – Avoid candles or bright lights at all costs. Check or upgrade smoke alarms and other fire prevention methods. – Place a Ba Gua mirror in this area outside this month. Sun 4 green Wen Qu romance and literacy star is a wood star and in December, it has flown in to the southwest. Having a door in this area can bring in new opportunities and lots of travel and perfect for a company that deals with travel or printing. Do not use fire or metal in this area or colours white, silver this month. Do not worry if you have these colours already just introduce colours blue or black in the way of a floor mat, cushions, tablecloth or such like. Another traditional way to enhance fertility is to display peanuts in shells (groundnuts) or any seed products like black or red melon seeds (Gua zi). In Mandarin, peanuts are called ‘hua-sheng’ and for the Chinese, this word is onomatopoeic in that the sound of it means the birth of many children. You should display them anywhere in the bedroom and of course be careful if anyone in the home suffers with nut allergies. Avoid fire element and colours red, pink or purple. Good colours are blue, grey or black. If you wish to enhance areas of creativity and academic achievements, place or hang moving objects to enhance the Ch’i of this sector, do not use wind chimes. Keep area semi active with windows occasionally open. – Place photos of loved ones or images of love to enhance relationships or attract new love. This can be photos, paintings or statues, make sure there is always a pair in the image. Li 9 Purple (You Bi) Li 9 Purple is a fire star and a yin trigram and considered a star of future wealth and in December, it has flown in to the west where Tai Sui is located so care will be needed. If you disturb this area this month you may cause problems for the middle daughter and it could affect heart, stomach or blood related. If you have any poison arrows like lamp post, pylons or large comers of house pointing toward this area consider hanging a flat ba gua mirror outside pointing toward the offending object. We have a bit of Yin and Yang with the annual and monthly star in the west in December as the visiting fire star will weaken the annual wood star although the annual star will also enhance the visiting fire star. This is a good area in general especially for those in studies. Couples with a bedroom in this location can also enjoy good relationships but please be sure to keep noise levels low as we have Tai Sui located here for the year. 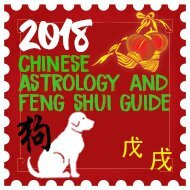 Ken 8 White Zuo Fu is an earth star and a yang Trigram and is the most auspicious governing flying star of the lower era of the sexagenarian cycle of the flying and in December, this has flown in to the northeast. If you work with symbols, quartz crystals, crystal balls or hanging faceted crystals are very good for the this area this month. The #8 star also governs relationships so a nice romance enhancer is a pair of Mandarin Ducks. Whilst wealth is forecast this month for this area, beware of overworking as this can cause you health problems if you have a bedroom or office here. The additional work will bring a good income but be careful of your health; in particular stress related resulting in high blood pressure or kidney problems. Do not place heavy metal in this area of your home or office this month, as it will weaken the good earth. If you already have this in place for the annual #2, I would recommend leaving it in place as it is better to weaken a bad star than weaken a good star. Tui 7 Red (Po Jun) robbery star is a metal star and a yin trigram and known as the mischievous Po Jun #7 argumentative red star is a negative influence in Period 8 and has flown in to the centre for December. The trigram Tui is also known as ’Broken Soldier’. This is a fighting star which can cause problems if left alone, the #7 Red indicates a high risk of burglary, deception, copyright theft, gossip and back stabbing this month. It pays to be wise and avoid taking too many risks for there may be unscrupulous people working against you. There are indications of misunderstandings, pressure and business rivalries that could also lead to losses. Keep this area quiet and doors and windows kept closed this month. Good colours are blue or black. Avoid earth and fire colours (temporary Christmas decorations will be ok although not too many) and quartz crystals. If you have an office or door in this area be careful of people trying to deceive you, robbery, arguments and loss of wealth, always look at the very small print and be careful as this star normally causes problems with people you know and thought you could trust. – Do not use anything of fire element or colours red to control it as this may aggravate it; temporary Christmas decorations will be ok.
– Do not hang metal wind chimes here. That clears up my confusion…Thank you very much, and a happy holiday season to you and yours, as well. correction…the holiday decorations newsletter says no candles in North, but the monthly updates says to place candles in North. So, I’m confused about the Centre and the Northeast, as well as wondering about the other areas where there seems to be a conflict of information…thank you again. 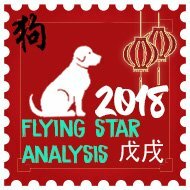 The monthly analysis is written with the annual stars in mind where as the Christmas decoration article was only written with the monthly stars in mind although I have updated both articles now with the annual and monthly Flying stars in mind. Thank you for bringing this to my attention and have a fantastic Christmas. 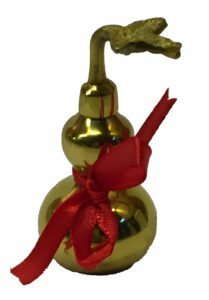 I just received your online newsletter as to where to place Holiday decorations in 2017…however, the descriptions do not match the suggestions for 7 December-4 January flying stars for the month in 2017/18–candles in the North, Northeast, and Centre? But, the December updates say to avoid candles in those areas… I am a bit confused…thank you!